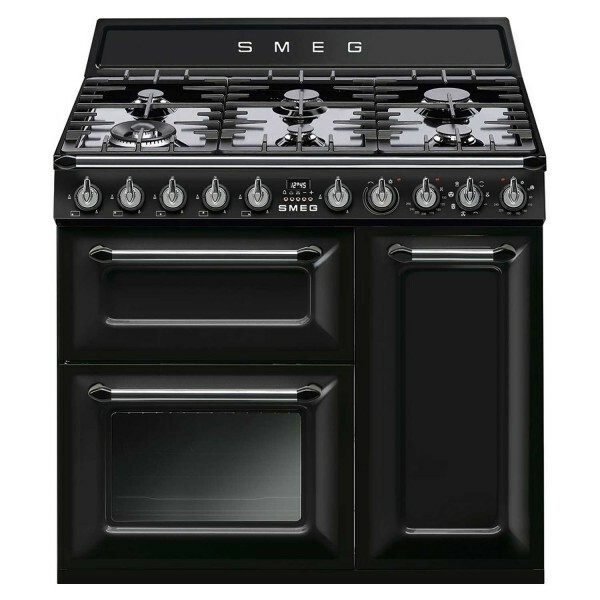 Product information "Smeg TR93BL - 90cm Victoria Range Cooker"
The TR93 dual fuel range cooker from Smeg is a 90cm wide 3 cavity range cooker offering a whole host of cooking functions and flexible cooking space. The main 61L multifunction oven offers 7 functions and is complimented by a tall 62L fan oven, providing the ideal solution for catering for large groups or simply if you need to use one oven when cooking for yourself. The third cavity is a top grill, with grill elements also in both ovens. A vapour clean system in the main oven makes for fuss free cleaning. The cavity is cleansed using steam generated by pouring a little water into the hollow in the base of the cavity and setting the cleaning function running. Grease and dirt can then simply be wiped away. A gas hob with 6 burners sits atop the ovens. A powerful 4.2kW burner ensures rapid heat up and fast cooking. Heavy duty cast iron pan supports make for a traditional look. An air cooling system, triple glazed doors and minute minder top off this model. Telescopic shelves, side opening doors and a dishwasher safe roof liner are handy extra features. 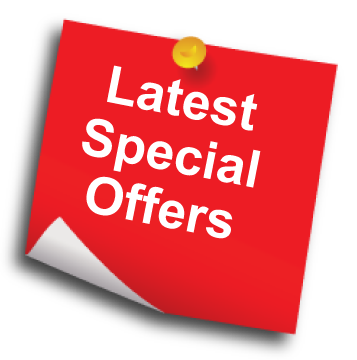 Related links to "Smeg TR93BL - 90cm Victoria Range Cooker"
Customer review for "Smeg TR93BL - 90cm Victoria Range Cooker"